Connector Cleaner, Enhancer & Protector! 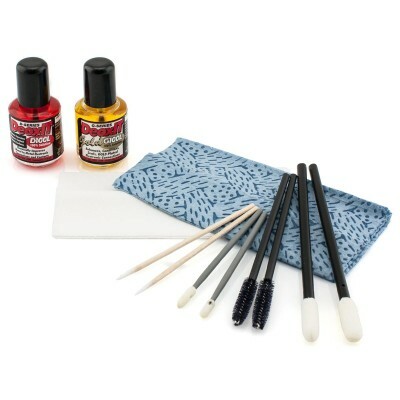 This kit chemically improves all metal to metal connections and contacts. Over time, connectors may oxidize leaving a thin film that is often invisible to the human eye. This is detrimental to system performance. This may also create a scenario where high end RCA connectors may be impossible to use due to their extremely tight grip design. This kit not only melts away unwanted residue but also acts as a lubricant and contact enhancer to ensure a perfect connection. This solution is suitable for use with RCA, HDMI, USB, Ethernet, BNC and many other connector types.